Prince Michael Malachi Jet Jackson -- the 24-year-old who claims to be MJ's lovechild -- is going back to court in the hopes of getting a slice of Jacko's fortune, even though he was already rejected by the people who run MJ's estate. PMMJJ just filed "objections of rejection" paperwork in L.A. County Superior Court, in which he begs a judge to "have determined that he is the biological son of decedent Michael Joseph Jackson ... and gain whatever benefits he is entitled to." The Jackson estate had rejected PMMJJ's claim back in August, even though he provided a California birth certificate which lists Michael Joseph Jackson as his father. 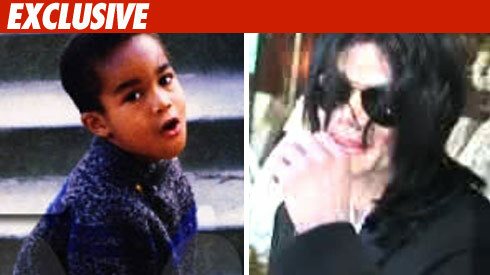 Michael Jackson -- The Kid is (Maybe) His Son?